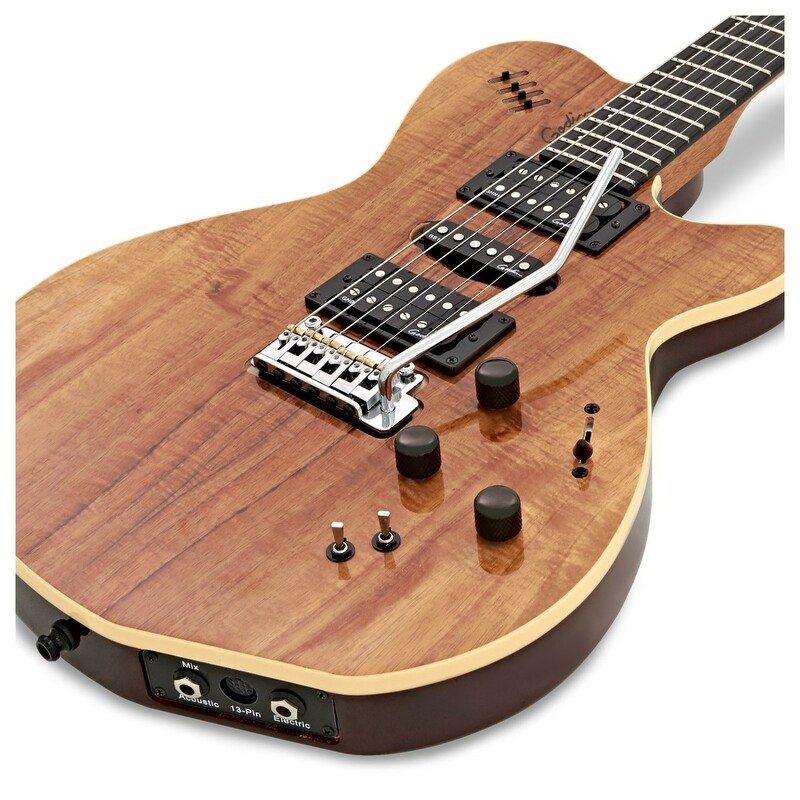 The Godin xtSA, Koa is a beautifully crafted guitar that provides players with three distinct voices. 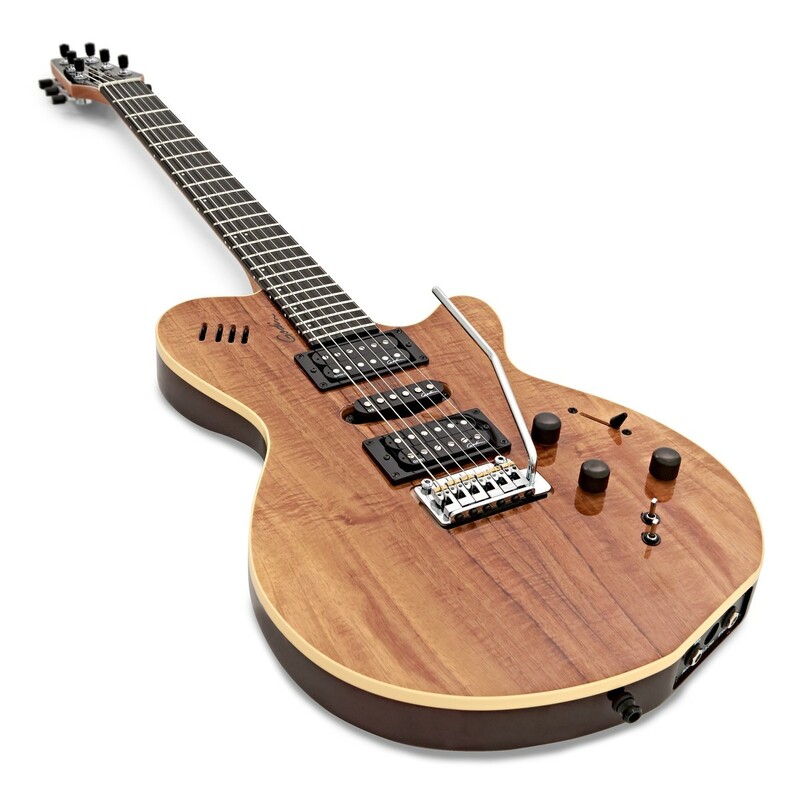 The Godin xtSA Guitar is loaded with versatile electronics, including a Godin HSS pickup configuration, a tremolo bridge with RMC transducers and a custom pre-amp with 3-band EQ, as well as direct access to Roland GR-Series guitar synths. The xtSA Guitar is crafted with an array of stunning tonewoods, with a Silver Leaf Maple centre, poplar wings and a figured koa top. This combination of tonewoods offers bright, sparkling highs, with a balanced and responsive midrange, and excellent levels of sustain. The neck is also made from mahogany and is paired with a Richlite fingerboard, which adds enhanced richness and warmth to the overall tone. The Godin xtSA Guitar offers a stunning and unique appearance with the natural wood grain of the koa. The Godin xtSA Guitar is equipped with an array of Custom Godin Electronics which offer excellent versatility to suit different styles. 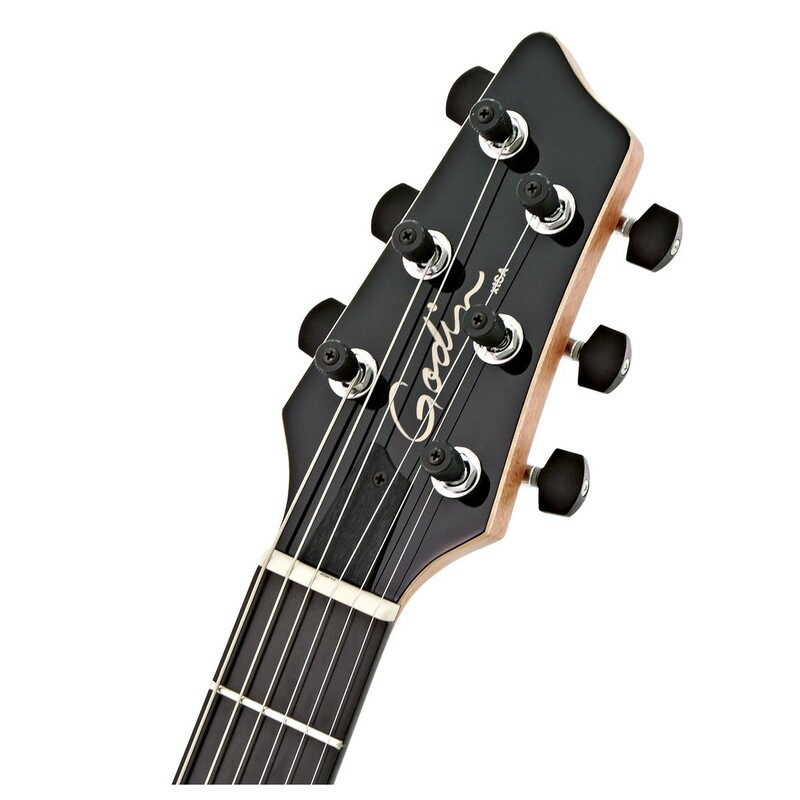 There is a Godin HSH pickup configuration consisting of a vintage-voiced GHN1 at the neck, a powerful and rocky GHB1 at the bridge and a balanced GS1 in the middle; to ensure that the player can achieve a range of different tones. There are Volume and Tone controls on-board to shape the pickups tone, as well as a MIDI volume, 5-way pickup switch and a 3-way mode switch to select the blend between magnetic and piezo. There are RMC Transducer saddles, which help with the acoustic voice's projection, as well as the on-board preamp which can be sculpted by using the 3-band EQ controls. 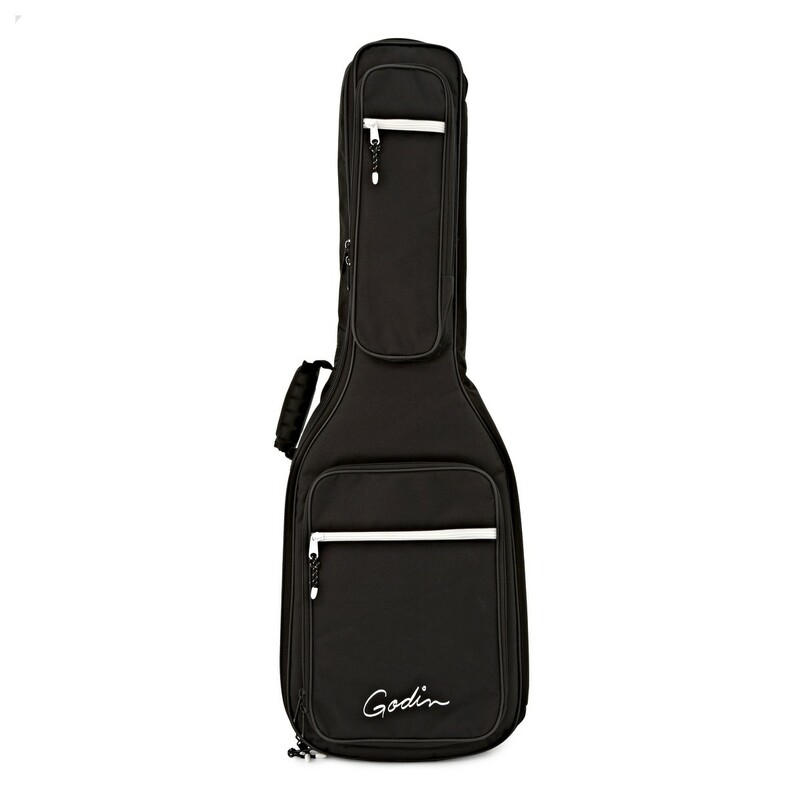 Finally, with the Godin classic built-in 13 pin connector, this provides players with direct access to Roland GR Series synths and other 13-pin devices. 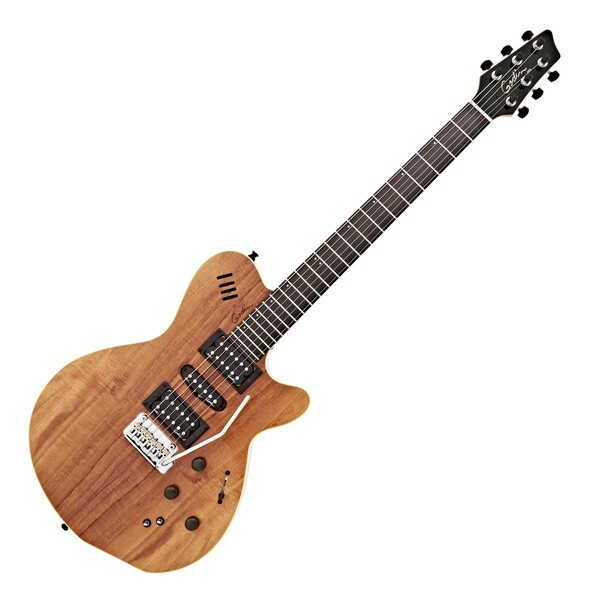 The Godin xtSA is a beautifully crafted electric guitar, that features an array of different tonewoods to create the perfect combination. The body's centre is made from Silver Leaf maple, which offers bright and tight tonal characteristics, alongside ringing projection. The body's wings are made from poplar for a well-balanced tone with a nice resonance; and the xtSA is topped with a figured koa veneer which enhances the overall tone with a rich warmth, and balanced mid-range. 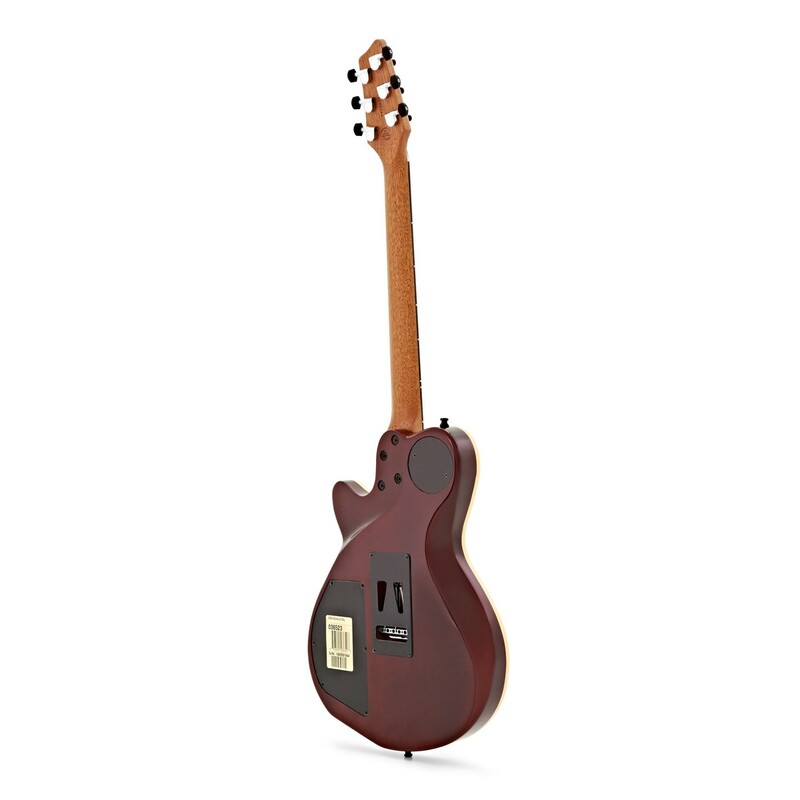 The Godin xtSA Electric Guitar features a sturdy mahogany neck that yields rich and warm tones; whilst the Richlite fingerboard offers smooth and fluid playability. Richlite is a more sustainable material that was originally designed as an alternative to Ebony and Rosewood fingerboards. Constructed from recycled paper and phenolic resin, Richlite has quickly become popular with many guitar manufacturers as an eco-friendly alternative to traditional fingerboard woods, due to its fantastic playability.